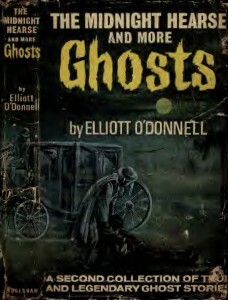 Elliott O’Donnell, one of the most famous ghost hunters of his day, wrote a very detailed and dramatic true account of a ghost in Shooters Hill in his story “The Vanished Suitor of Shooter’s Hill”. This took place in Veremont House, Shooters Hill on January 3rd 1911. Like all good ghost stories, after examining the haunted house with his pet fox-terrier, he decides to lock himself in …. And then, shortly after 12 o’clock had struck …. “The scratching of an insect made my heart stand still; my sight and hearing were painfully acute. Presently a familiar sickly sensation gradually crept over me, the throbbing of my heart increased and the most desperate terror laid hold of me. The dog uttered a low, savage snarl. The house was no longer empty. Something was on the landing overhead, preparing, so my senses told me, to descend. 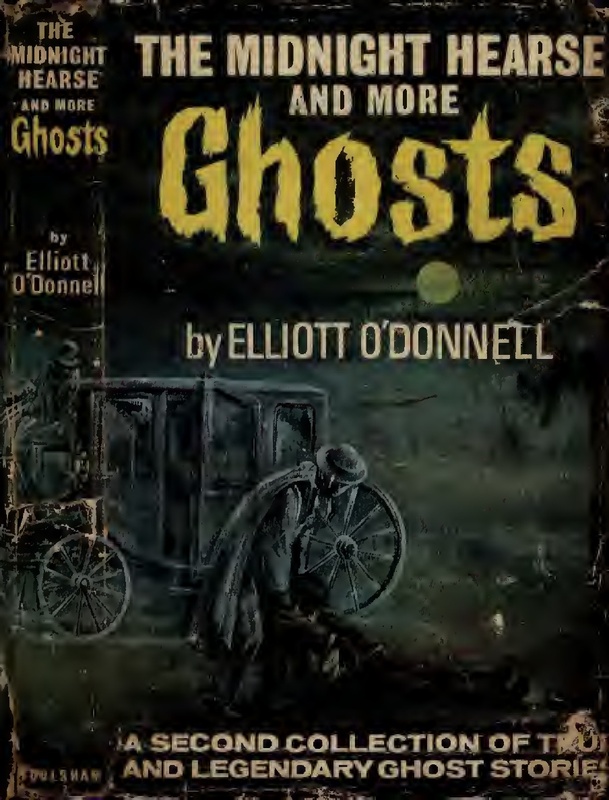 The ghost turned out to be Bertha Rungate, who led Elliott to an old well where she had disposed of the body of Philip Rungate who she murdered after finding he was planning to elope with her governess. No-one knows where Veremont House was, or if it is still standing on Shooters Hill today under another name. Other supernatural manifestations in Shooters Hill include the white lady of Shooters Hill reputed to haunt the junction of Shooters Hill Road and Well Hall Road on 24th July each year, and the ghostly footsteps which are said to haunt the Bull pub. “At about 3 am, as I was quietly reassuring a young soldier recovering from a collapsed lung, we both heard soft footsteps approaching the ward. I promised him a cup of tea once the visit from the expected Captain was over, and left his bedside to greet her. Even after the hospital was converted into flats and became the Royal Herbert Pavilions there has been a sighting of a ghostly nurse. 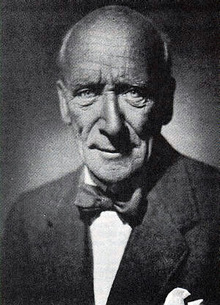 No post about the supernatural in Shooters Hill would be complete without mentioning Algernon Blackwood. 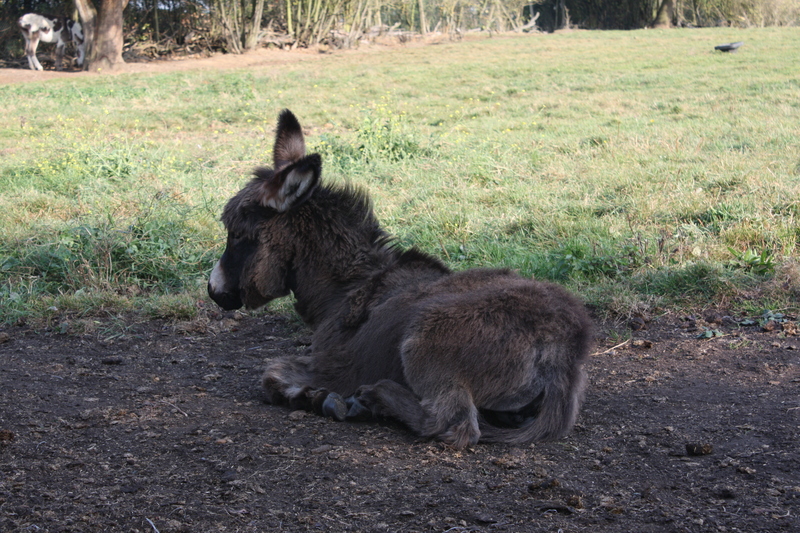 He was born at Wood Lodge, a large house which used to be sited at the top of Oxleas Meadows, near where the Oxleas café is currently located. He led an erratic and interesting life, and at different times was a farmer, a journalist and a British spy in the First World War. He also met the mystics Ouspensky and Gurdjieff. He later appeared on Britain’s first television show, Picture Page, in 1936, and in the late 1940’s broadcast a regular Saturday Night Story programme on television in which he read a series of his supernatural tales, making him a household name. He was awarde a CBE in 1949. So look out for spectral nurses, supernatural footsteps and ghostly white evil faces with large, dark, very lurid eyes if you are out trick-or-treating this Halloween. And hope that you don’t hear the ghostly tolling of the death bell! 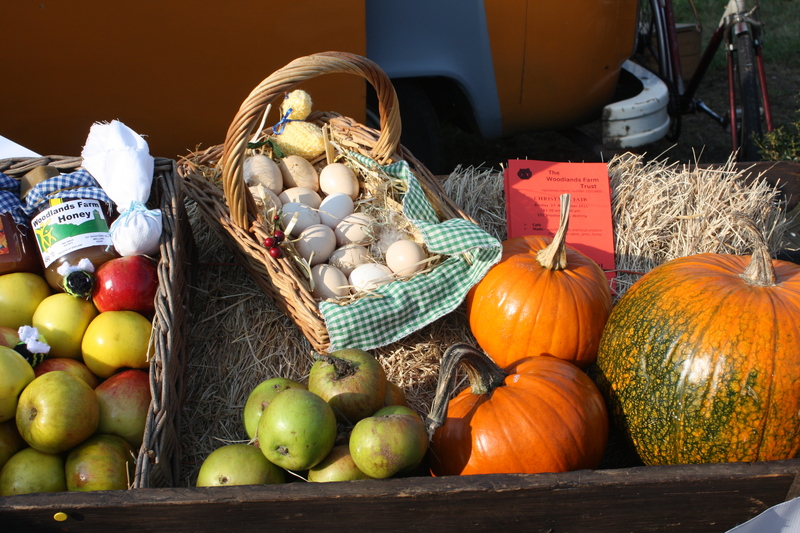 The atmosphere at Woodlands Farm Apple Day on Sunday was brilliant. The combination of a large, happy crowd, a perfect crisp, clear autumn day, the folk music of Skinner’s Rats and an appealing set of stalls made for a great afternoon. Not to mention more than 15 varieties of apples to try; 15 different varieties of English-grown apples, supermarkets take note. The apples were obtained from Pippins Farm in Pembury who grow about 50 varieties of apple, and they included a few that I hadn’t tasted before. The most unusual was the Pitmaston Pineapple, much smaller than most apples and looking like a miniature Egremont Russet. It’s an apple that was first bred in the 1780’s but was presented to the Royal Horticultural Society in 1845 by a Mr Williams of Pitmaston. They tasted sweet and nutty, a little like a Russet, and I could only just about taste the pineapple flavour claimed in the farm’s description. It could be that the name refers to the warm yellow colour and shape, rather than the flavour. I added some to my bag to take home, together with some stripy red and yellow Cameos, some Cox-like Jupiters and some of my favourite apples, Egremont Russets. 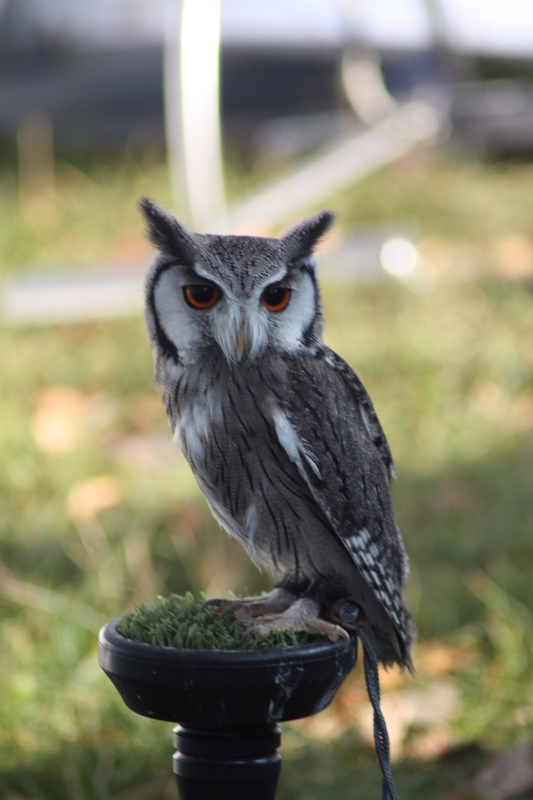 Jambs’ Owls have become quite a regular participant at woodlands Farm events recently, but they still draw a queue. The well-trained birds sit patiently on their perches, or allow youngsters to pose with them for photographs, and accept gentle stroking. There was also a crowd sitting in the sunshine listening to Kent-based folk band Skinners Rats, who also play and call the steps at the Farm’s energetic and slightly chaotic barn dances. There were opportunities to join in on the (rather complicated) choruses, but most seemed happy to enjoy the music. The next Woodland Farm event is the Christmas Fair on Sunday 27th November. Proof-reading and correcting issues of Charles Dickens’ weekly magazines may not be everyone’s idea of fun, but I’m finding it very satisfying, and absolutely fascinating. 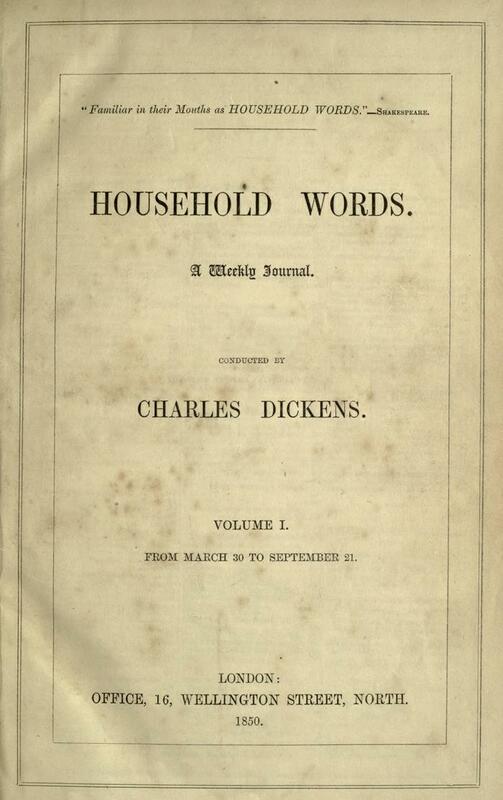 I’m one of many volunteers contributing to the Dickens Journals Online’s project to create a complete online copy of Charles Dickens’ weekly magazines, Household Words and All the Year Round which were first published between 1850 and 1870. Some of Dickens’ books, such as Great Expectations, were originally published in weekly instalments in these magazines, but they also covered many other topics, including travel writing, politics and general interest articles. The journals have all been scanned and converted to text files using optical character recognition. The task of the volunteers is to correct any errors from the OCR and tidy up the formatting. I’ve found some journals quite easy, just correcting occasional words, though a couple of pages of my first issue had the columns of text merged into one another and took some time to disentangle. There are some 30000 pages to correct, and the target is to finish in time for the Charles Dickens’ bicentenary in February 2012. Progress has been good so far – 41% of the journals corrected – and all of them allocated to someone to correct. HEARING and seeing all we do of London, with its Thames water, odorous, sewerage, precipitous wooden pavement; its Smithfield, its Guildhall balls to Royalty, its earnest and liberal patronage of dirt and filth, few strangers, whether provincial or continental, would dream of the existence of such places as Shooters Hill, Kew, Hendon, or Hampstead, at but a few miles of omnibus or steam-boat distance. Nowhere near as engaging as Dickens’ marvellous, murky and muddy description of the 1775 ascent of Shooters Hill in A Tale of Two Cities. Woolwich and Greenwich are mentioned many more times, including an interesting Eye Witness Account of work at the Woolwich Arsenal in 1859, and a multitude of whitebait dinners at Greenwich! So it’s Grinitch, fine, …. but Owilige? The title of Frances Ward’s next talk is “The End of an Era”, and it takes place at the Heritage Center, and also her last talk for the Centre before she retires at the end of the year. It really will be the end of an era for those of us who have been entertained and educated by Frances’ talks on the history of Greenwich, and her excellent walking tour of the Woolwich Arsenal site. A talk by Frances Ward on Greenwich in old postcards. £3 including light refreshments. Booking recommended. Call 020 8854 2452 to reserve a place. This will be the last talk by Frances for the heritage Centre, as she will retire on 31st December 2011. She will be sorely missed by everyone who enjoyed her talks, sessions for schools, or visited the search room as well as her colleagues in the council. There are seldom any spare seats at Frances’ talks, so I suspect this will fill very quickly. Frances mentioned at her last talk, The Peopling of Greenwich, that she plans to continue her historical research in retirement, and also to return to the Heritage Centre to talk about it. I’ll certainly look forward to that, and would like to wish Frances a long and happy retirement. The well-supported opposition to the mobile communications mast next to the old fire station in Eaglesfield Road received a setback recently with the decision by the Planning Inspectorate to allow the appeal by Orange PCS Ltd against the Council’s decision to refuse consent for retention of the existing equipment on the mast. This means that Orange can keep their dishes on the mast. As discussed in previous posts, many local people opposed the application, led by SHAM (Shooters Hill Against Masts). There were 89 objections to the original application, and a substantial number signed a petition demanding removal of the mast completely. However removal of the mast wasn’t really within the scope of this appeal; it was just about the specific Orange dishes. 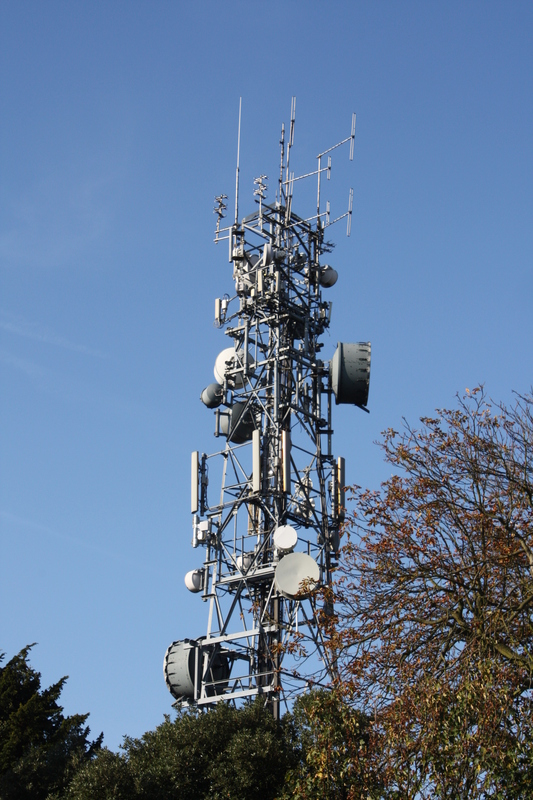 And it was always going to be tough to defend the Council’s decision to refuse permission to keep this existing equipment, especially as they had previously granted permission for the TETRA-based equipment that also adorns the mast. All seats were full at the appeal meeting, back in September, and a number of people spoke against the mast. They were supported by local MP Clive Efford and Councillors Jagir Sekhon and Danny Thorpe. Objectors spoke passionately about the impact of the mast on the Shrewsbury Park Conservation Area and the grade II listed former fire station, and concerns that installation of additional equipment on the mast would result in an eyesore like the nearby Oxleas Wood mast. 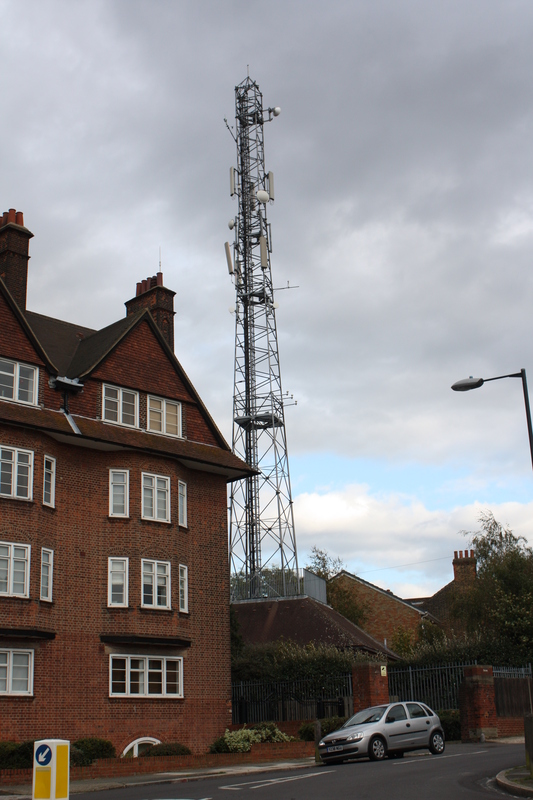 They also pointed out the disparity in treatment between the mobile operator putting dishes on the mast, and householders in the Laing Estate who face restrictions on installation of satellite dishes because they live in a conservation area. The Planning Inspector, John Papworth, was scrupulous in ensuring that everyone had a chance to state their case, but in his report concluded that the appearance of the mast wasn’t significantly changed by the equipment that the appeal was considering, and that it could even be considered that the mast had an historical association with the former fire station. Safety is the one of the prime concerns of the objectors, who spoke persuasively about the need to adopt the precautionary principle, erring on the side of safety, when considering the potential impact on health. The Health and Safety Manager representing Orange initially reduced his credibility by admitting that he had taken his radiofrequency emission readings at 3.00pm, far from a peak usage time for mobile phones. However he had taken readings from a number of places, including flats in the Fire Station closest to the mast. His readings had shown that the radiofrequency levels are less than 1% of World Health Organisation approved guidelines, and he stated that at peak times this would only increase by a fraction of a percent. The Inspector concluded that given “…current advice relating to the likelihood of harm from these installations, the health objections raised are outweighed by the benefits of telecommunications”. Safety of radiofrequency emissions is subject to some dispute, with current scientific evidence in disagreement with anecdotal evidence of harmful effects. Without getting into the details of the debate, one thing is clear: many people are very concerned about potential health impacts of mobile phone masts. I’m sure I would be if I lived very close to one. It’s surprising that more is not being done by telecommunications and government organisations to allay fears, and where necessary adopting the precautionary principle and ensuring masts aren’t too close to homes. What next for SHAM, I wonder? The Friends of Shrewsbury Park Annual General Meeting will be held this Saturday, 22nd October from 2.00 to 4.00pm at the Slade Community Hall, Pendrell Street, Plumstead, SE19 2RU which is off Garland Road. We are all invited to find out what the Friends have been doing and how we can be involved in Shrewsbury Park. The Friends’ website has all the details and a link to a map showing the location of the meeting. There will also be a talk by David Waugh, an amateur astronomer and member of the Flamsteed Astronomy Society, about “Stargazing”. His talk will cover what can be seen in the skies of south-east London, what you can observe with binoculars and small telescopes and how stargazing relates to the broader subject of astronomy. The Flamsteed is an amateur astronomy society named after the first Astronomer Royal John Flamsteed, who laid the foundation stone for the Royal Observatory in 1675. The Society is based at the Greenwich Royal Observatory and National Maritime Museum. I’ve been a fan of e-shootershill for several years, so it’s a little bit daunting to be taking on the job of chronicling happenings on the hill and the surrounding areas. Producing a repository of “Hilliana” as my predecessor so succinctly expressed it. Learning the technology involved in blogging is also a little daunting, and my initial posts may not be as technically sophisticated as some previous ones! Why did I offer to take on e-shootershill? Well, I agree wholeheartedly with the aim of maintaining a journal of record of Shooters Hill – and there’s plenty to record. One of the many things I love about living here is the tremendous sense of community and local involvement. For example there are so many volunteer-led events and activities. Volunteers run the friends of Eaglesfield and Shrewsbury parks organisations. The latter organise the fabulous dog-show at the Shrewsbury Park Summer Festival which has become an essential item in the calendar. And then there are all the people who help at Woodlands Farm – from managing the charity through to mucking out the pigs, not to mention organising large-scale events such as Apple Day (coming up next Sunday, 23rd October). And many more that I haven’t come across, yet, though I’ve seen hints of their activities. I was also seduced by the unexpected and sometimes uncelebrated architectural gems that ornament the hill and its surroundings, and the intriguing glimpses into history that comes with them. There aren’t many places in London where you come across a Bronze Age burial mound as you walk down the street. Blogging about the area will be a strong motivation to find out more about local history. Of course the stunning views from the hill, over Kent, Essex and the panoramic London horizon from Wembley’s arch to the London Eye justify the inclusion of topics slightly further away from home, and give me an opportunity to experiment with including some pictures in this first blog. 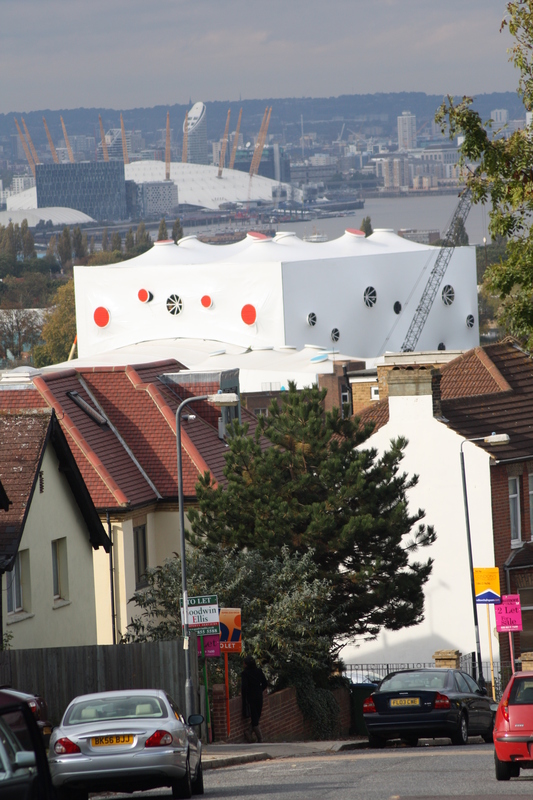 For the view isn’t static, for example the 2012 Olympics have imposed themselves, with the shooting and archery stadium rapidly rising on Woolwich Common. 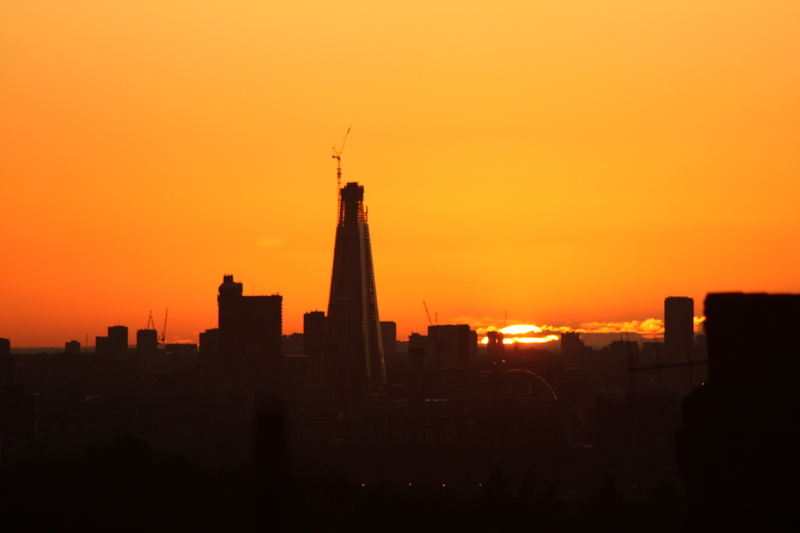 And the Shard has also been rapidly rising, further away on the horizon. The Shard has come in for criticism from some commenters, but I feel a kind of affinity that started when I used to walk past the building site on my way to work, often pausing to watch the long, slow work of boring and excavating the foundations and then, later, astounded at how quickly it grew. Like previous bloggers on this site I welcome comments and suggestions. Preparations are currently being made to handover the e-shootershill site to some new bloggers, please watch this space. Harumph, just when you thought you were winding down, Woodlands Farm ask for a mention…oh well, can’t really refuse them of all people…plus, I recently noticed they had some fine looking blackthorn bushes brimming with sumptuous looking sloe berries, which reminds me to get foraging myself. Sloe berries can also be found in Oxleas Woods and Shrewsbury Park, and now is probably as good a time as any to collect some, although some people wait until after the first frost, which sweetens their taste a little. Pick your own fruit to make exciting hooch for Christmas using wild damsons and sloes. Bring your own gin or spirit of choice, together with a container of at least 1 litre capacity with a wide neck (larger than 2.5cm). Please dress appropriately for outdoor activities. The time has finally come to say goodbye…Goodbye. After two plus years, the current webmin is winding down involvement in this site in order to concentrate on new projects. The site is now looking for new Webmins/Bloggers to pick up the reigns. If you are interested in Shooters Hill, Writing, Blogs, Social Media, or Web Design, you are invited to email the site (see bottom of page). If you are interested, please bear in mind the following: Running the site is free, independent, and educational; you get instantly connected to South East London’s vibrant Hyperlocal scene; you get your work syndicated by the Guardian (courtesy of their excellent London correspondent Dave Hill); plus there’s money to be made, courtesy of ongoing attempts to marketize the Hyperlocal network (if you can handle that sort of thing). One final post is planned under the current webmin, which will be released late on Sunday the 9th of October. As the site goes quiet, if you find yourself looking for local information on the web, then please check the Shooters Hill Forum, or the Shooters Hill Neighbourhood Watch sites.